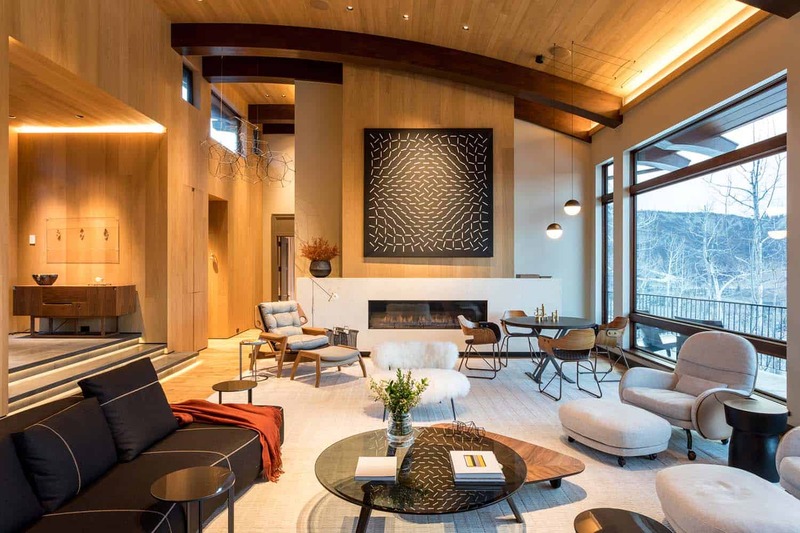 A mountain contemporary ski retreat was renovated by Menendez Architects in collaboration with designer Patricia Martinez Arquitetura is located in Snowmass Village, Colorado. 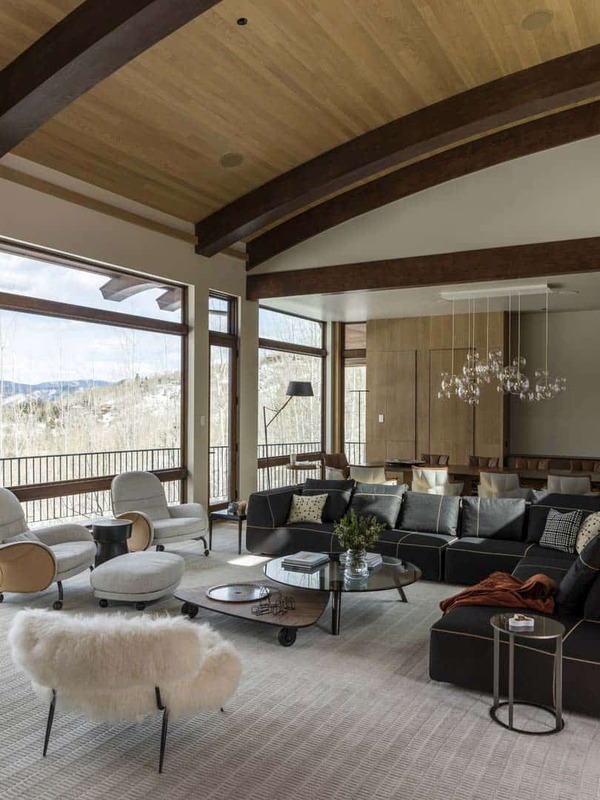 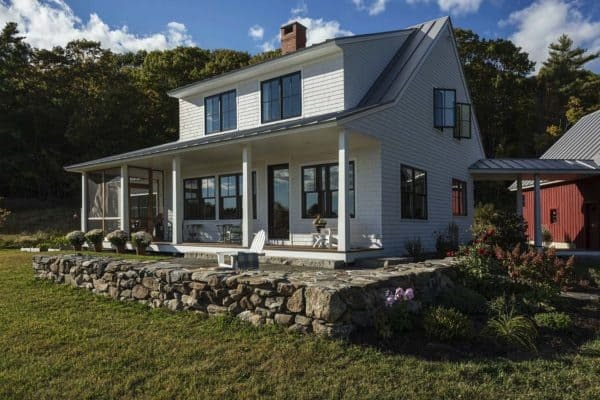 The scope of this project entailed a complete interior overhaul of a ski-in/ski-out property. 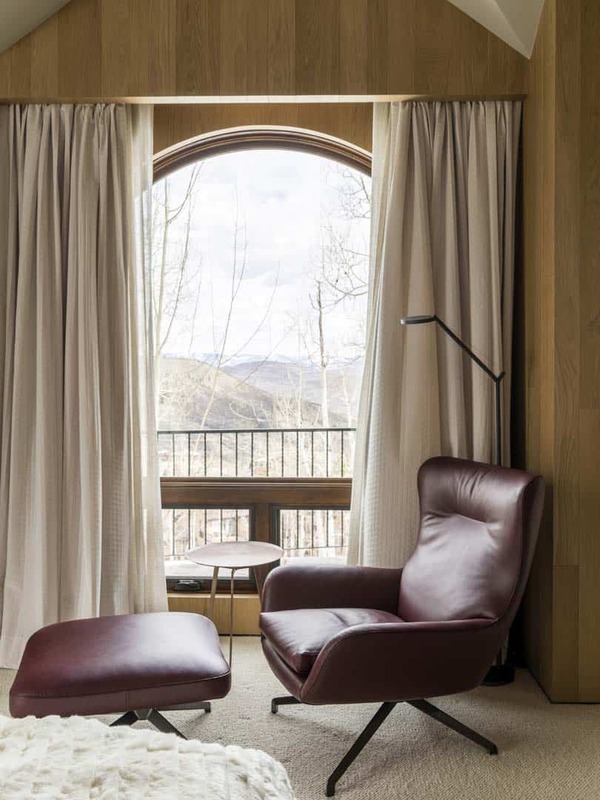 The interiors scheme reflects a mix of mountain contemporary with a modern South American aesthetic. 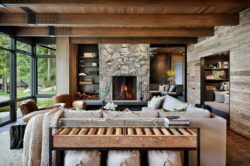 The overall design sustains the warmth of mountain architecture through the use of natural materials of wood and stone, while following ideals of simplicity. 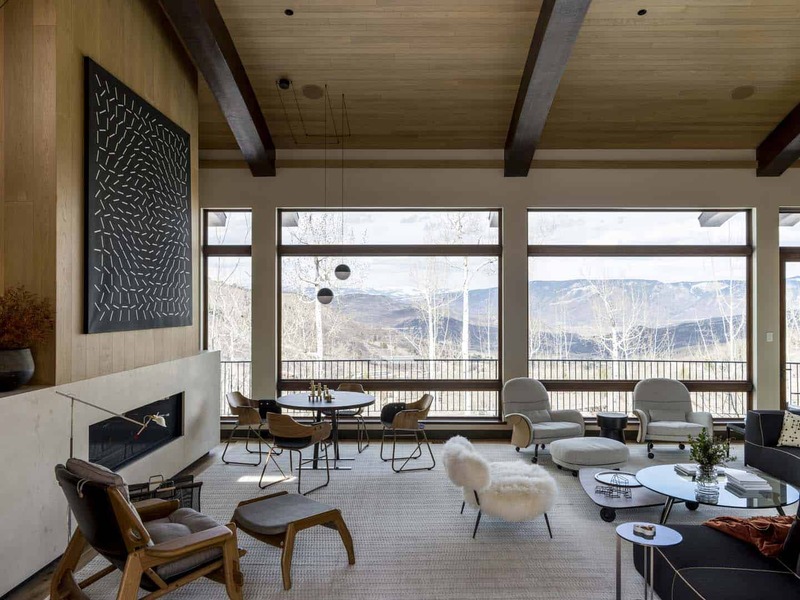 Wood panelling was used in the great room as a ‘reflection’ of the wooded site, which can seen through the expansive windows that frames the spectacular landscape. 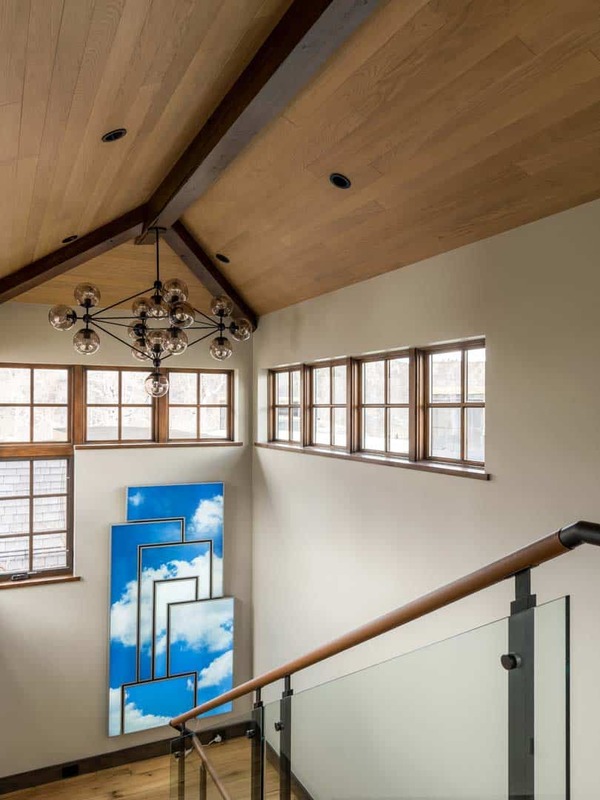 Above: In the dining room, a lowered ceiling gives a more intimate feel to the space, which is open to the living room. 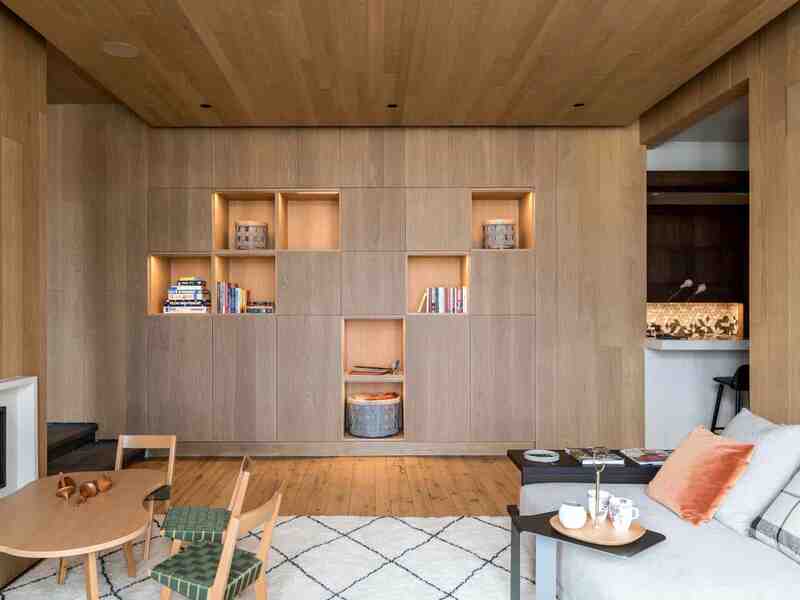 In South American tradition, the kitchen has been separated from the dining area. 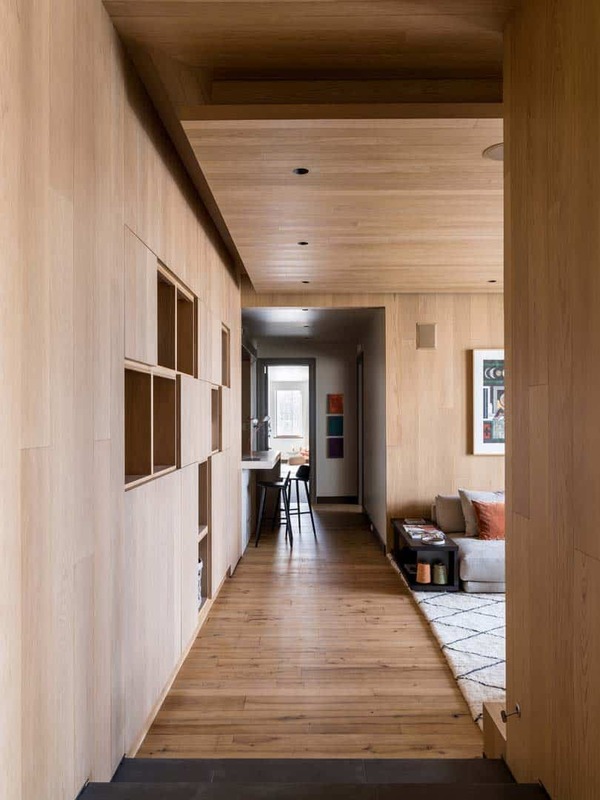 Access to this space is through a concealed doorway in the wood paneled wall. 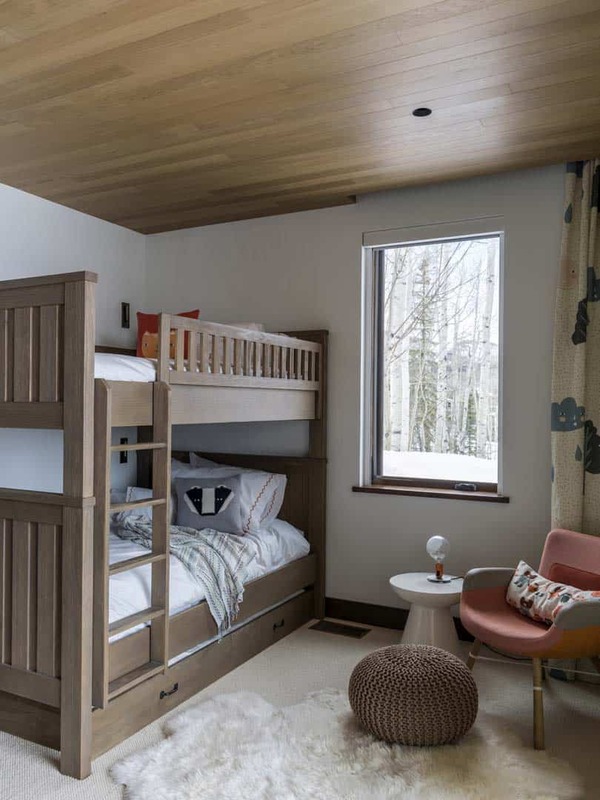 What We Love: This fabulous ski retreat offers light and airy living spaces thanks to expansive windows. 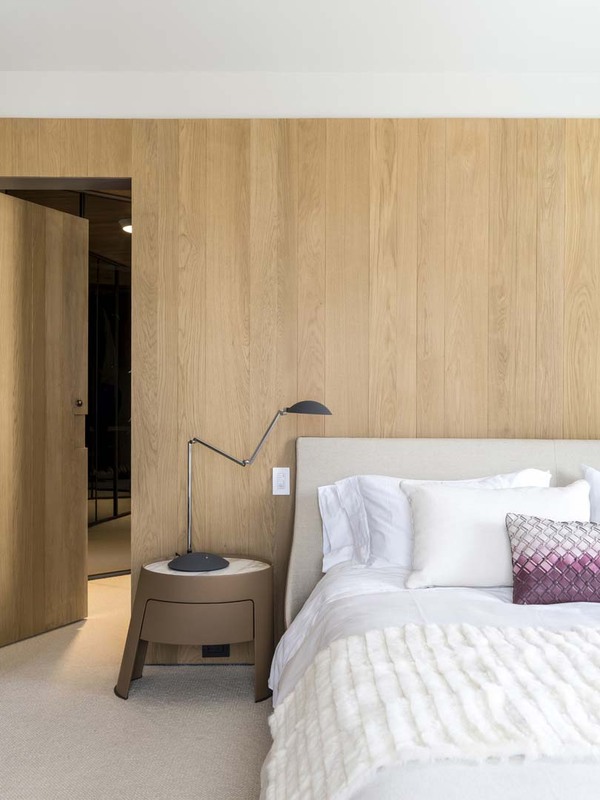 Small design details throughout offers high-impact, such as the changing in wall finish materials marking transitions between spaces. 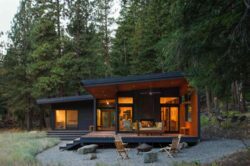 The heavy use of wood infuses warmth into this contemporary mountain home, creating an environment that is very ‘livable’. 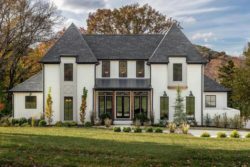 Readers, please share with us what details in this home stands out to you… are there any design features that you would have done differently? 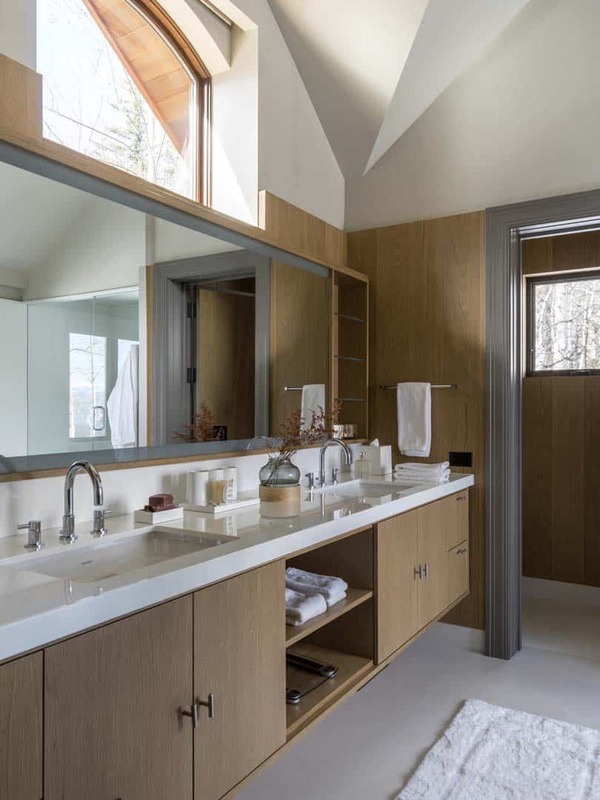 Above: Natural ventilation was enhanced through operable windows near the ceiling. 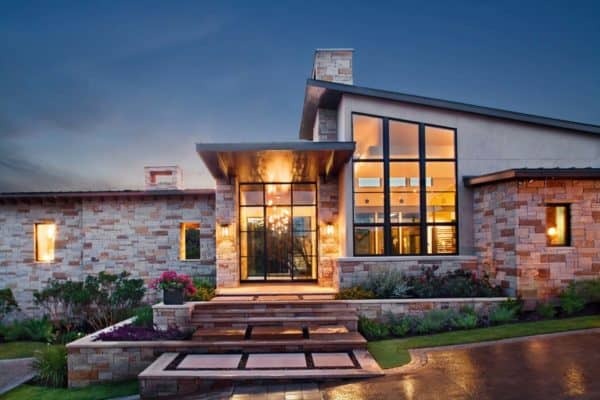 The space is flooded with natural light thanks to the heavy use of fenestration. 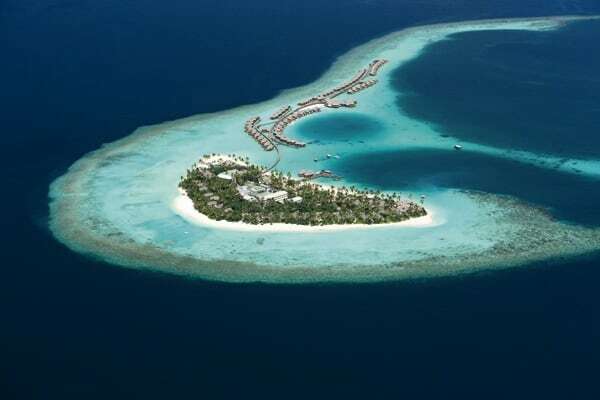 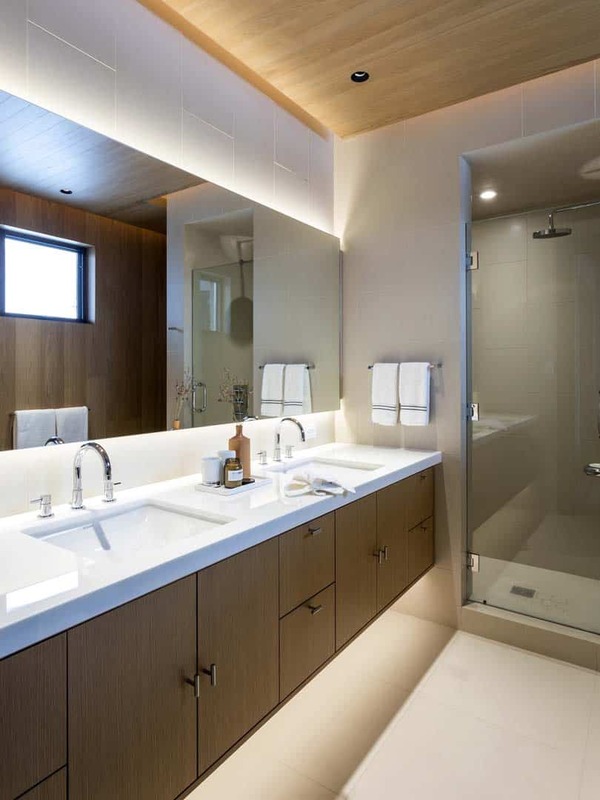 Above: In the evening, linear LED cove lights casts a glow against the ceiling. 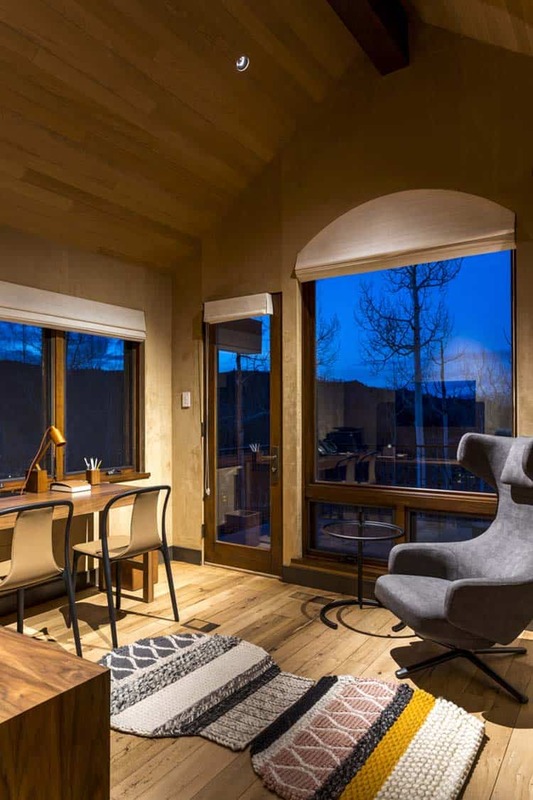 Above: In the home office, the wall features a padded suede wall covering, which helps to enhance acoustics. 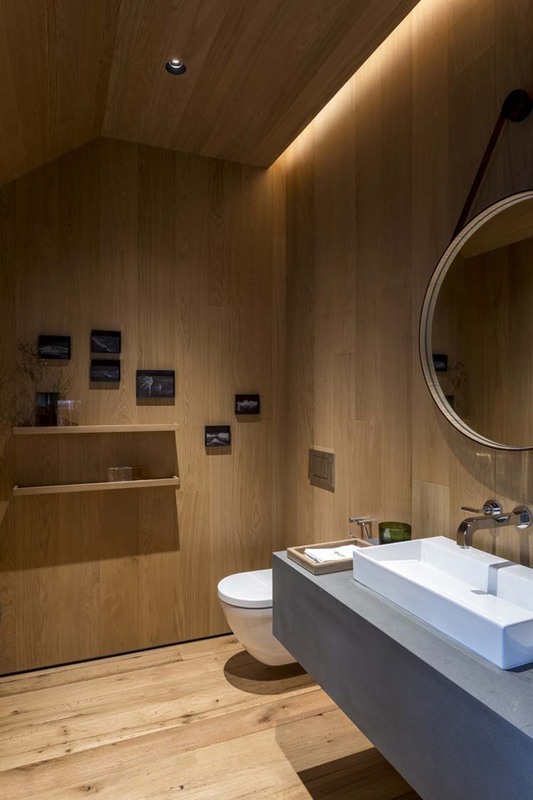 Above: The powder bathroom maintains the same clean lines as the adjoining great room. 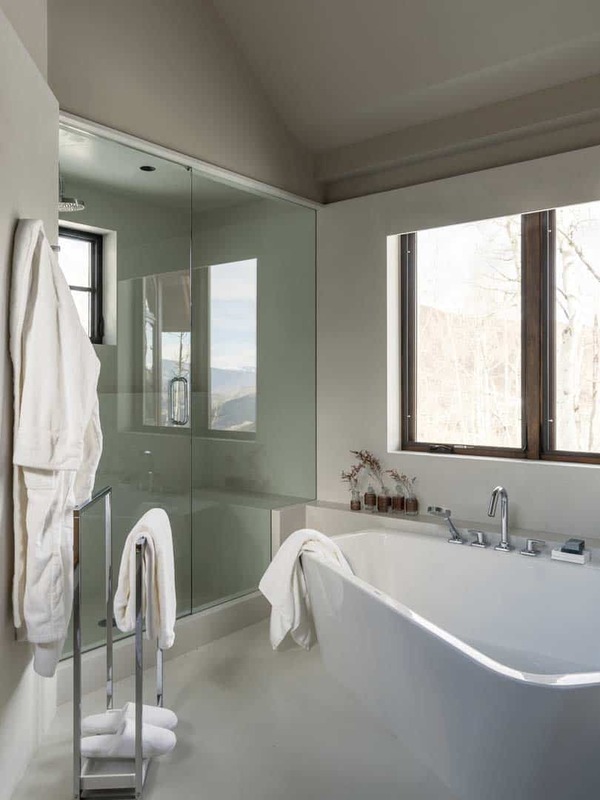 Above: Windows from above helps to bathe the staircase with natural light. 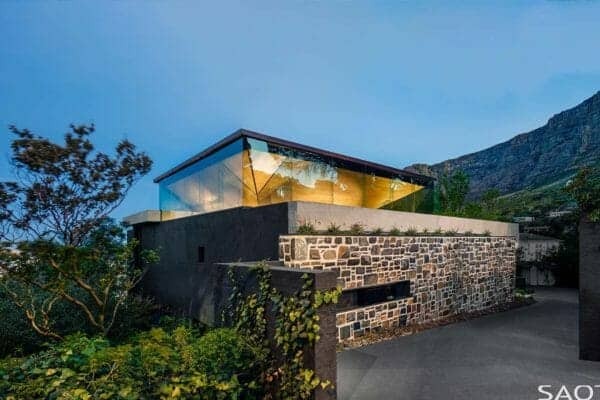 The glass guardrail helps to further this transparency, filtering light to the lower levels. 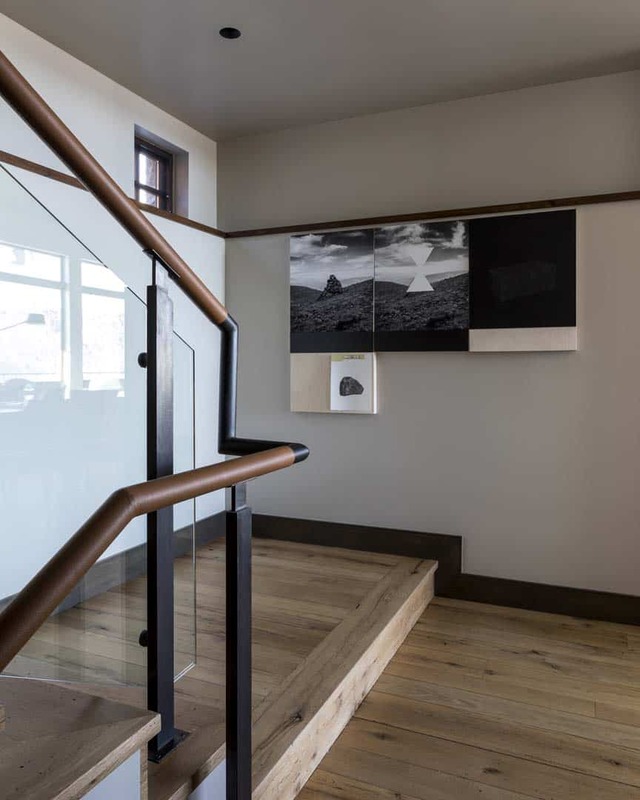 Above: A detail of the handrail shows a soft leather-wrapped steel, adding warmth. 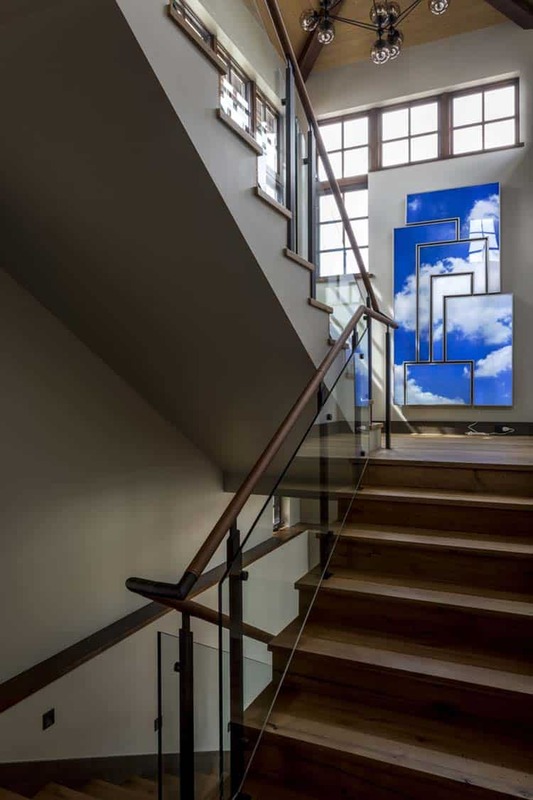 Above: A staircase landing area was designed to be multi-functional, featuring a built-in wine chiller. 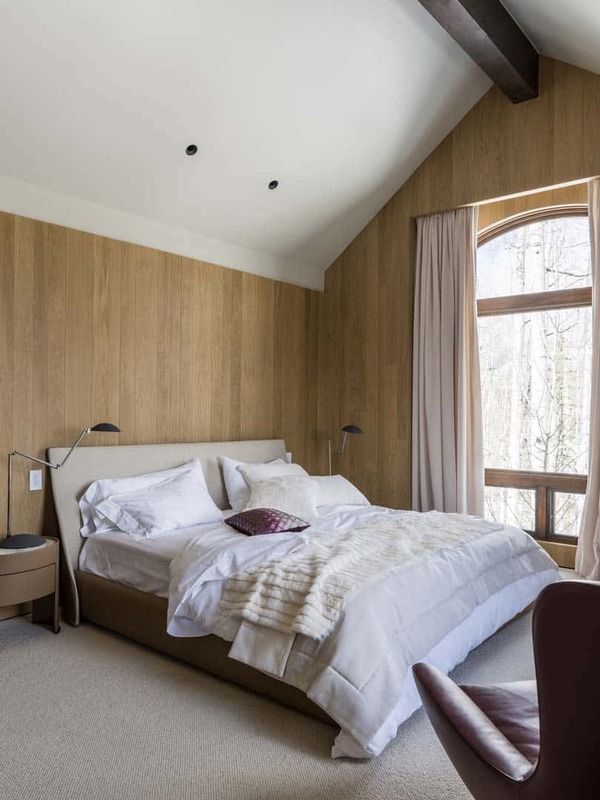 Above: The master bedroom has added warmth thanks to wood wall panelling. 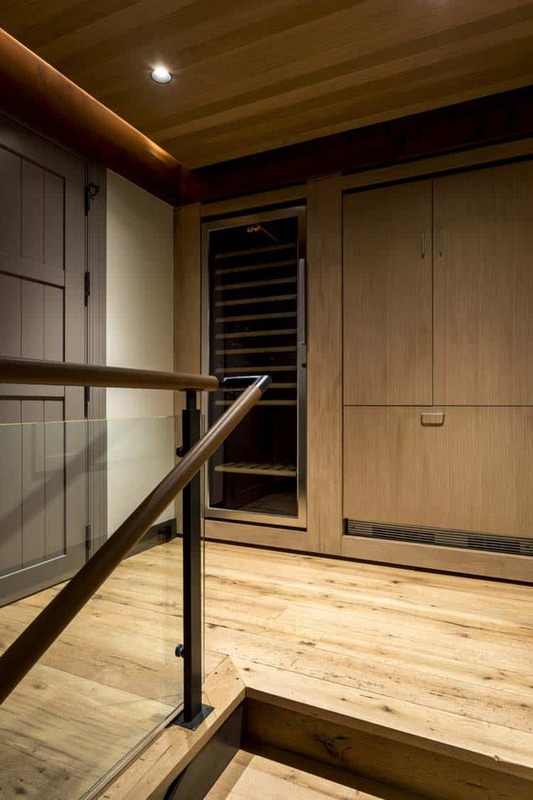 Above: Within the wood wall panelling is a concealed doorway that leads to the master walk-in closet. 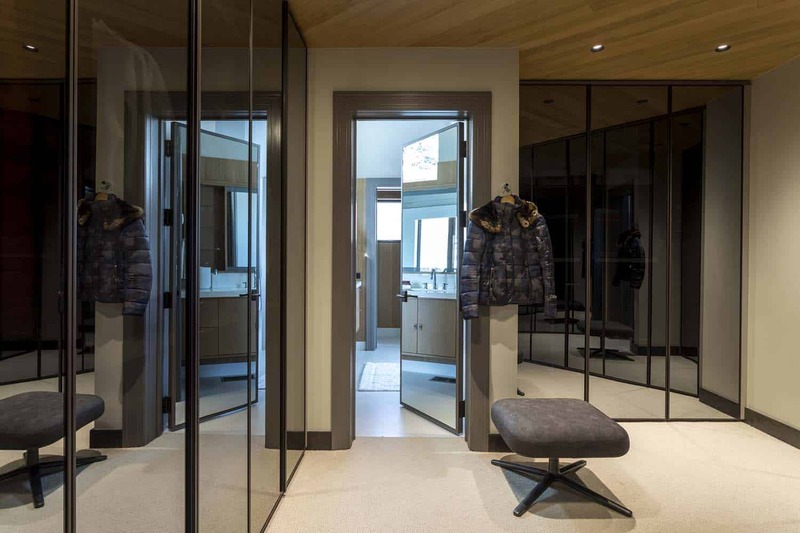 Above: In the master closet/changing area, all clothing storage is hidden behind mirrored doors. 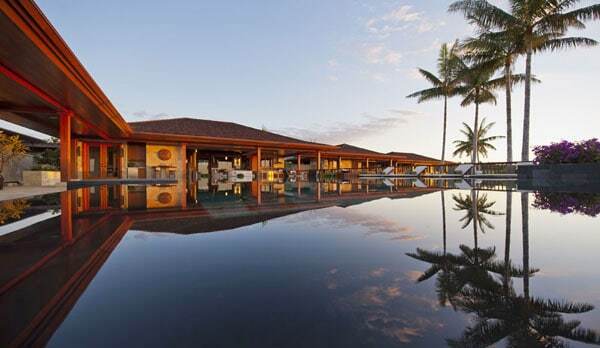 Above: In keeping with South American design influences, all of the flooring at wet area wall surfaces are finished with a stone slab material. 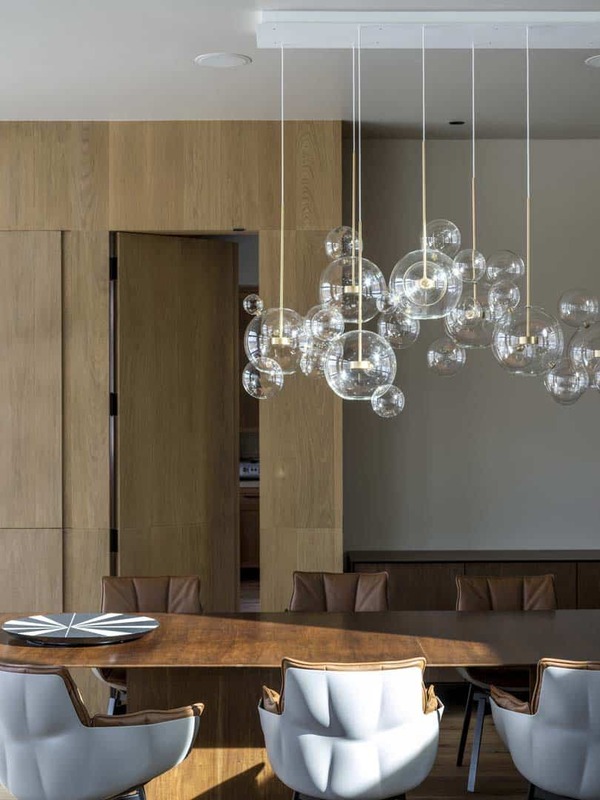 Above: A floating ceiling conceals mechanical ductwork, while also creating light coves for indirect lighting. Above: In the family room, a wall of wood panelling features illuminated display niches. 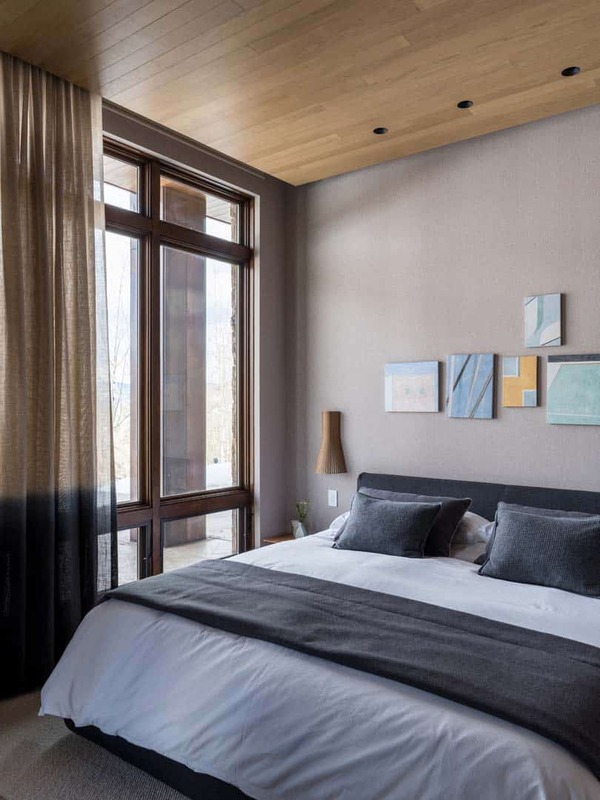 Above: Fabric wall coverings and sheer drapery add softness to the bedrooms while wood ceilings connects to the rest of the material palette in the house.